This is old version HIT 1.1.76343 apk for Android, you can install it if you want to downgrade or install old app. 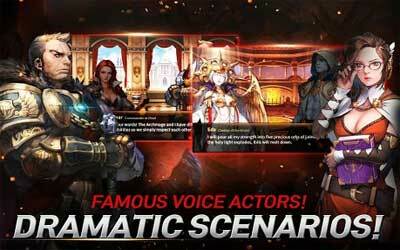 It is top Role Playing apps from NEXON Company. If you are fans of online games like Tera or Lineage 2, then you will find this game suits to your taste. The developer of the two popular games is the one and the same person as HIT’s, Yong-Hyun Park. With his studio, NAT Games, he developed Heroes of Incredible Tales. He promises new HIT’s players to feel unbelievably gameplay experiences that’s really fun to play and really stunning from its brilliant visual. Today’s phone incredibly high specs have enable HT developer to push its intuitiveness by building on full 3D Unreal Engine 4. The result is a truly immersive and intuitive gameplay.